If you picture a slender man with white hair, sporting a bright orange external frame pack from Jansport, you might be talking about anybody who hiked 30 years ago. 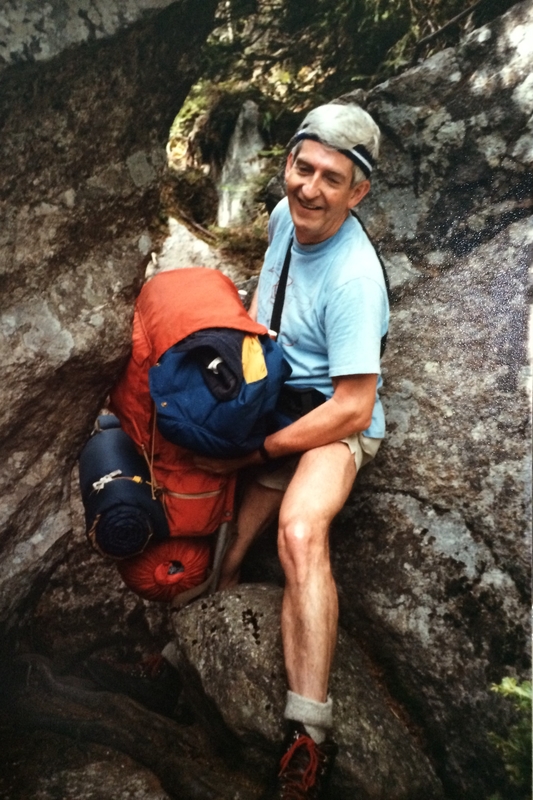 But if you picture him with a group of younger adults trekking up a mountain, sharing his immense love of the outdoors, that’s my grandfather. This is where my love for hiking came from. My love for the Mountains. My grandpa had my mom camping and hiking in the White Mountains of New Hampshire since she was little, then had my dad on the trail before he married my mom. Because why not make a guy sweat a little? By the time my brothers and I were old enough, we were on the mountains our grandpa was always naming off to us. 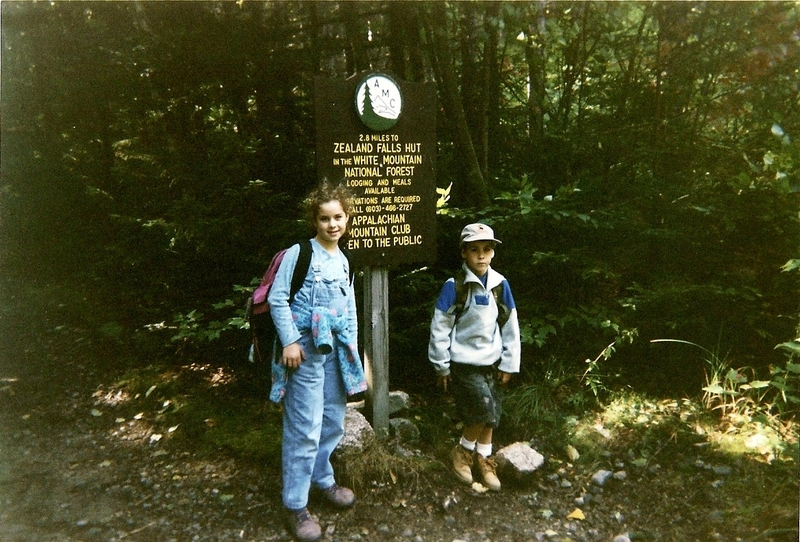 The very first hike I remember was a little trek up to Zealand Falls hut, where I experienced my first backwoods toilet. Now, I’ve always been at my happiest when I’m outside. Whether I’m sitting on the top of a mountain I just climbed, or a simple nature walk closer to home, but it wasn’t until a hike up Mount Lafayette as an adult did my Appalachian Trail obsession begin. Seeing some very thin, very smelly hikers that appeared to be on a mission, carrying less than I was on my two-day hut-stay trip, it made me curious. I remember going home and following anyone with a gear video, anyone I could find on Instagram, and I read every book I could get my hands on. Have you ever been bit by the travel bug? The pull of the Appalachian Trail has been stronger for me than any travel bug I’ve ever had. Every year I would watch people head out on the trail attempting and completing their thru-hikes, and every year it’s become harder to resist. I was definitely waiting for someone to hike the trail with. I kept saying someday, and assuming it would all fall into place. Assuming that someday, when life didn’t seem so crazy, I’d get to it. Having wanted a career change for a while now, and having trouble figuring out what that looks like, I figured, what better place to find myself than in an environment that makes me feel completely at peace. So in March 2019, I will be attempting my northbound thru-hike. I’ll be making my dreams and plans a reality. I’m so excited to see where this trail takes me, other than Maine.